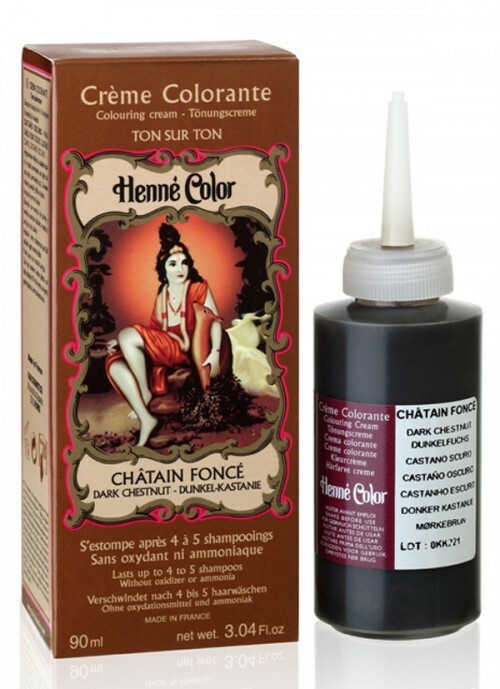 Henné Color Henna colouring creams are available in 12 shades, helping you customise your colour, play on highlights and follow trends. 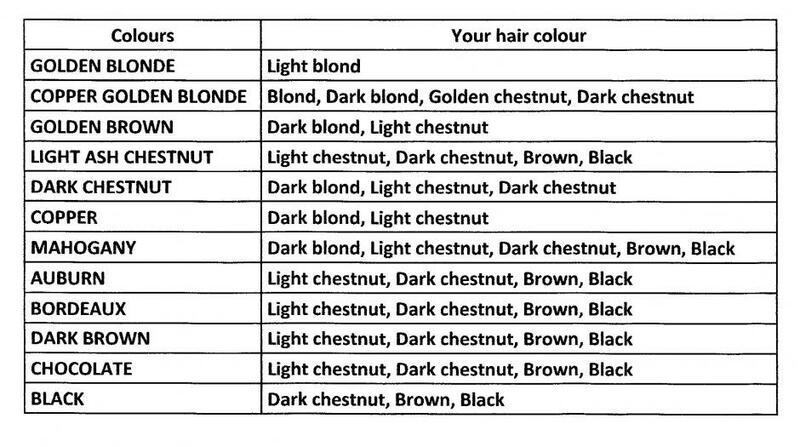 These oxidant-free hair colours do not help to lighten your hair. Consult the colour chart and table below to choose your colour. Kit containing a 90ml bottle with an applicator top, 1 cap, 1 pair of disposable gloves, 1 instructions leaflet. (can be kept once opened). No preparation needed, just shake the bottle and cut off the tip. Wash your hair with neutral Henné Color Hair care shampoo made with organic henna with its gentle, silicone-free formula, then wring out your hair. Put on the gloves and place a towel on your shoulders. Apply the cream to the roots, strand by strand, then apply homogenously over the entire head of hair to the tips. Cover you hair with the cap. 20 to 40 min according to desired intensity. With warm water until the water runs clear. Choosing your henna hair colouring powder or cream?